Observation - Bat in our house - UK and Ireland. 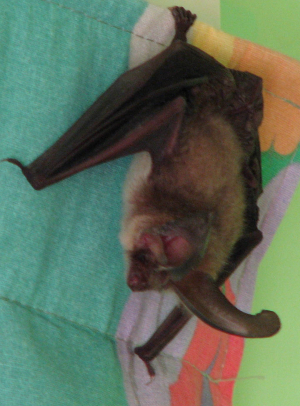 Description: This long eared bat flew into our house, probably chasing an insect. It flew out again, after exploring two of the bedrooms upstairs briefly. This long eared bat flew into our house, probably chasing an insect. It flew out again, after exploring two of the bedrooms upstairs briefly.